Allow me to address that with a slightly different context; our values and priorities in wedding photography. I think it’s extremely important that you find a wedding photographer/ photography team whose values and personality align with yours. To us, wedding photography goes beyond producing just great imagery. As wedding photographers, each of us is keen to being an effective problem solver, a thoughtful adviser and ultimately a good friend. We believe in building strong relationship with our client, because we view wedding photography is a collaborative endeavored in which the final output will heavily depend our partnership with the bride and groom. And just like any good partner would, we try our earnest to listen and understand. We want to listen about your plans and understand your wedding vision. We want to know what’s important to you, and we want to advise you on how best we can achieve your vision through our lenses. If our values and priorities stated above sounds important qualities to you, then drop us a line, and let’s chat! Our work and approach can be best described to be a fusion of documentary photojournalism and creative fine art portraiture. Photojournalism: Throughout the day, we try to capture unhindered, candid moments. We have been trying to master the art of being avid documentarians. As simple as it may sound, it is a truly valuable skillset to observe, anticipate, see and capture! 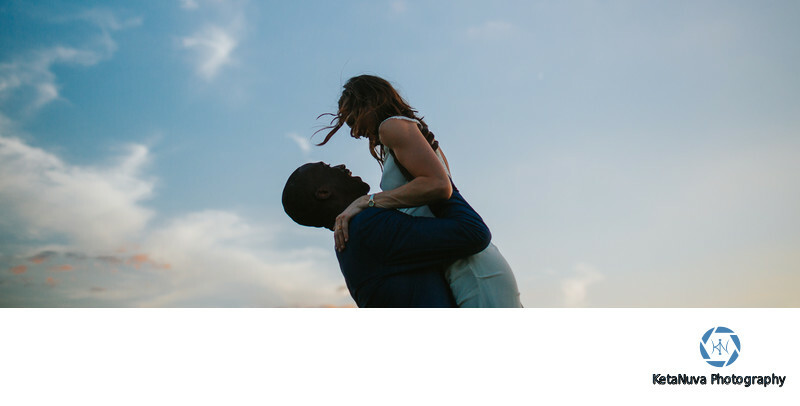 Those are the skillset that we apply throughout the day, so that when we have the gallery ready, you can (hopefully) see a collection of photos that will take you through a visual narrative of your wedding day. We want you to not only see how the wedding day went, but also feel how it was like! Fine Art Portraiture: Couple session, and engagement sessions are instances when we put on out fine-art portraiture hat! While photojournalism is all about looking and capturing, fine art portraiture is about envisioning and “creating”. We get excited about playing with light (natural and manufactured), composition and creative lenses.We communicate what our vision is, assist with posing, and yet make sure the images capture the natural and whimsical chemistry between our couples. How will you approach my wedding? What will be your game plan? As stated in the “Why should we hire you?” section, we are big proponents of building solid relationship with our clients. In our meeting with you, we will discuss wedding timeline and will suggest you tweaks (if necessary) to optimize the time for photography. We give utmost importance to our clients’ vision and preferences. Some people love our couple photos, others love to enjoy the cocktail hour to the fullest, some will want to do a first look and others will want to avoid seeing each other before the bride walks down the aisle. We are fine with it all. We will make sure you understand what your decisions mean in terms of our photography output, and how we can prepare to make the most of your wedding day, from a photography standpoint. Can we see some full wedding galleries? We completely understand that this is a very important factor in your decision. However, note that we approach wedding photography as a personalized service, and as such we strive to first speak with potential clients to understand their needs and their vision. Based on that, we can be in a much better position to design a package and provide a quote that is suitable for your wedding. Typical price full day weddings can range from $2,500 to $4,000 depending on several factors like the hours of coverage location, albums, engagement etc. All our quoted prices are “comprehensive prices”, meaning there is no additional fees/taxes. The only exception is a travel change that may be applicable depending on your location. A fee of $150-$200 common for weddings that are beyond 70 miles of NYC. All our standard wedding coverage includes two photographers, usage rights to the high resolution images, beautiful online galleries. What does your package contain? Please makes sure to read our comment on pricing (the question right above this). We provide coverage with two photographers, high resolution images with usage rights, private online galleries, slideshows, preview galleries, fine art albums, parent albums, prints, USB drives, thank you cards etc. What is included in your package will depend on your requirements and budget. I have a multi-day wedding. How will the pricing work for that? Be sure to look through our South Asian wedding gallery! South Asian weddings often tend to be multi-day affairs, and we love shooting the color and the energy of these weddings! Typically, we will have two photographers cover the main wedding day and one photographer for the additional days, e.g. Henna/Mehendi, Haldi, Garba, Sangeet etc. The overall pricing will depend on the length and location of event. Given the involved logistics and the many moving parts of a multi-day wedding assignment, we will have to schedule a session to capture your requirements before we can provide a package and quote. If you would like a quote before meeting/having a call, please let us know the length of service required each day, the location of the events and a budget range. Will we get rights to our photos? You will get the rights to use the photos for personal purposes, i.e. you would have unrestricted access to share, download, and print these images. Will the photos be watermark free? High Resolution? For wedding, you will get a preview set of about 30 image within 2-3 days of wedding. We then cull the images, process them with our style and vision, and share the completed set in in 8-10 weeks. I like your work, but I need to know if you worked at my venue. Will it be a disadvantage for you if you haven’t worked there before? Glad that you liked our work! Please let us know your venue, and we can check if we have covered weddings there in the past. Often through, it will be a new venue for us. We can assure you that with multiple years of photography experience in our team, we are adept at working in new venues. We make sure to do our homework, i.e. arrive early at the venue, and visit the venue social media pages and website, so that we can identify and utilize the ‘good spots’. However, we believe that a single ‘formula’ of shooting at a venue doesn’t work in every instance. Variations in lighting situations, the season and even the décor mean that what works for one wedding, may not be the best idea for another. As such, we are always thinking, observing and refining our shooting plan at every venue and at every wedding. This is a skill we have acquired and feel confident about, having shot multiple years’ worth of weddings at various venues and in all imaginable lighting conditions! We've shot in beach venues, ballrooms, under tent, in parks, in farms, in barns, in high ceiling churches, and the list goes on; and yet, we try to approach every single wedding with a fresh perspective. Do you travel for weddings? How much is your travel fee? We love to travel and will gladly drive/fly to cover your wedding. For NYC, Long Island and North Jersey weddings, there is no travel fee. Typical charges for travel to other East Coast locations (Philly, CT, Boston etc.) range between $150 to $250, and depends on the time commitment involved. For destination weddings, kindly contact us, and we will provide a quote based on various details. What kind of equipment do you use? Do you have insurance? We use full-frame professional equipment. We bring all the necessary lighting equipment, and yes, we do have/bring backups. We are insured. Will be happy to provide Certificate of Insurance if you venue requires one. I have more questions; how can I get those answered? We'd be more than happy to address all of your questions. Every wedding is distinct, and we try to provide as much of a personal service as possible. We would love to set up a meeting to discuss further. Just use the form below to get in touch with us!